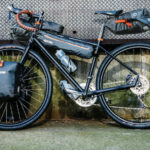 This time last year, Ortlieb joined the bikepacking bag ranks with the announcement of some high-quality waterproof goods. 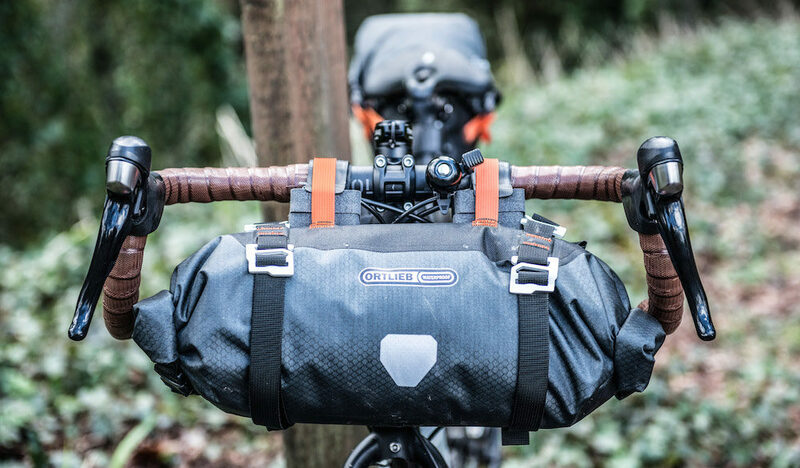 The Ortlieb bikepacking range was really well received, but like all things, it had room for improvement. One of the biggest criticisms of the Ortlieb Handlebar Pack and Ortlieb Seat Pack was simply the sizing. The Handlebar Pack had a roll diameter and length which was much better suited to a flat handlebar bike, and the Seat Pack was like a wet noodle if you didn’t fill it up enough. 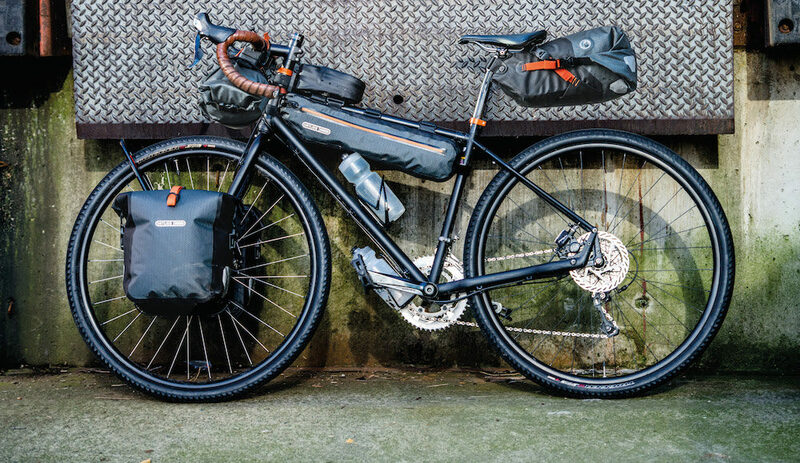 The 2018 Ortlieb bikepacking range takes care of the sizing issues with two smaller models, along with three entirely new products. 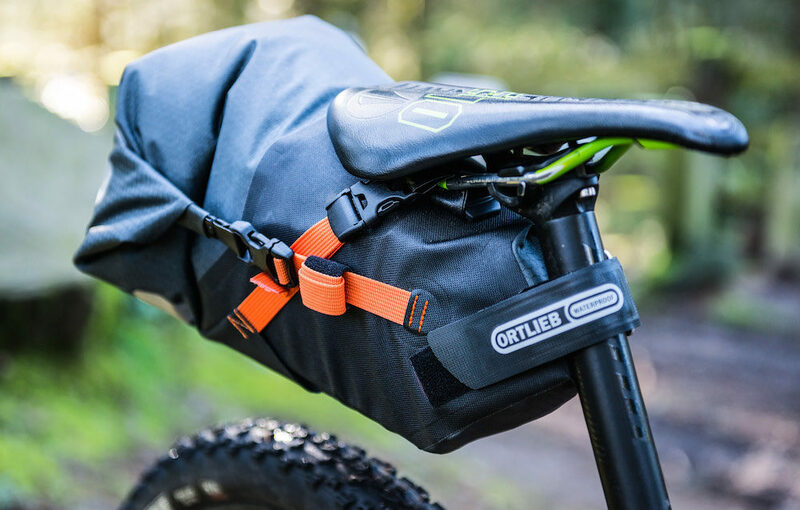 The original Ortlieb Seat Pack L is a true giant. At 16.5L and with the requirement of a 2/3 fill in order to properly cinch the straps, it certainly has its limitations. The new 11-litre Ortlieb Seat Pack M is a welcome addition also suitable for day rides. It keeps all the same great infrastructure of its bigger sibling like the purge valve and plastic reinforced skeleton, but the single strap design reduces the seatpost space required to just 6cm (2.4″). The reduced diameter is good for some extra tyre clearance for your small-sized or dual suspension bike, and is available in a package that shaves 29% off the weight of the Seat Pack L (now 326g / 11.5oz). Like the Seat Pack, the Handlebar Pack now comes in a new smaller size for road handlebars – think of the size S as the drop bar model, and the size M as the flat handlebar model. The overall length is down to a more appropriate 45cm (17.7″) as opposed to 58cm (22.8″) for the existing model. The Handlebar Pack S also gains 4cm (1.5″) clearance to the front tyre due to the slightly smaller roll diameter of 16cm (6.3″). With these reduced dimensions, you can expect this 9L bag to come in at 375g (13.2oz). Ortlieb panniers are not dead. Stripped of a shoulder strap and put on diet, these front panniers are the lightest Ortlieb have ever made (I think). Thanks to the ultra light PS21R waterproof fabric used across the entire Ortlieb bikepacking bag range, they actually work out to be 20% lighter than the equivalent Front Roller Plus model. To make them better suited for offroad use, they’re shipped with an extra rotatable lower hook (which I prefer to use with all Ortlieb panniers anyway). A new 4L half frame bag has been added to the 4L and 6L frame bags already available. At just 170g (6oz) this is a welcome addition for those like me who prefer to use two bidons for water. 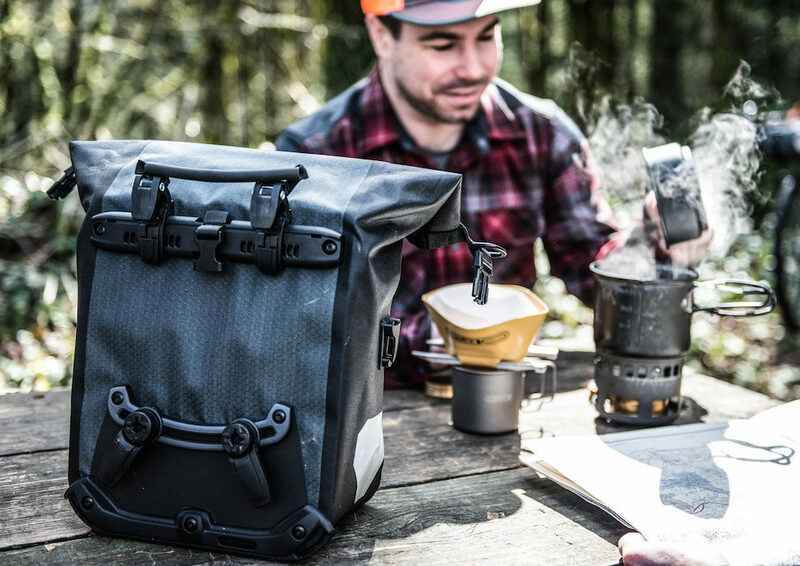 The 50cm (20″) total length should allow you to fit most tent poles inside this bag, along with other quick-access goods like multi-tools, tubes or snacks. At just 82g (2.9oz), the Ortlieb Cockpit Pack has been added to the range for your phone, camera or snacks. The bag features an internal stiffener so you can access the bag with one hand while riding. 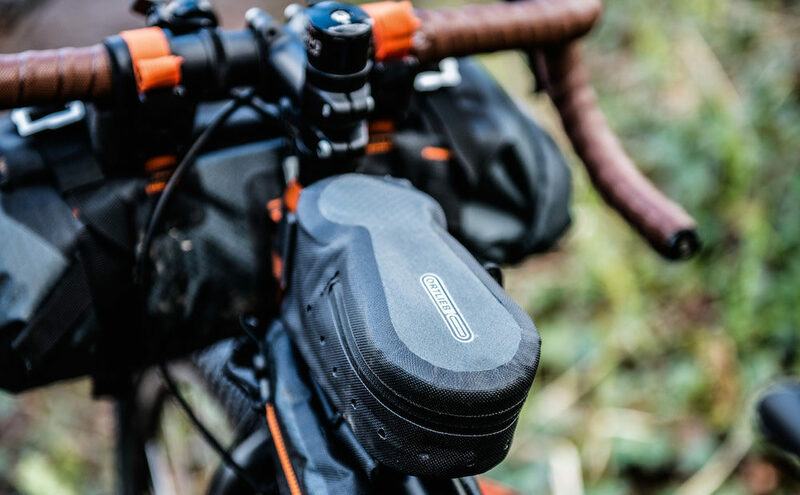 Like all Ortlieb bikepacking gear, this 0.8L bag is fully waterproof as it utilises a clever internal zip flap and water drainage system (notice the holes below the zip?) to keep your electronics happy.